9/18/2015 - Newsflash! A big thank you to the Reedsport Chamber of Commerce! Last night they awarded funds for the Reedsport Main Street Program's Steam Donkey Restoration Project, for the creation of decorative bike racks throughout town, and for the Main Street Coordinator position. These funds were raised at the charity auction held at this year's Dune Fest. The Chamber also awarded an additional 32 awards to other local organizations. What an investment in our community! The Reedsport Main Street Program (RMSP) was established on Dec 3, 2014. It is a locally driven process following the national Main Street Approach, a practical and comprehensive model capitalizing on a community’s unique assets. Our goal is to build a high quality, livable, and sustainable community that will grow our economy while maintaining a strong sense of place. Our program focuses on the downtown, midtown, and uptown districts on Reedsport, our town on the south-central Oregon coast. We rely wholly on community involvement and participation. This is an opportunity for our community members to work together, develop a spirit of innovation and enterprise, and help shape the Reedsport of the future. Our volunteers form three committees that operate under the program and act as the foundation of the Reedsport Main Street Program. Each committee has its own goals and objectives in different areas of Reedsport’s revitalization efforts. Find out more about our volunteer committees. 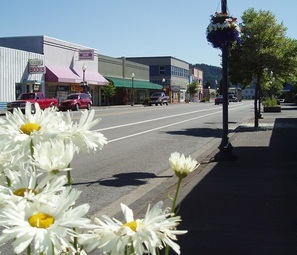 To foster the development of the Reedsport Main Street Program by strengthening local business, encouraging growth of new businesses, and connecting the community through public and private partnership. 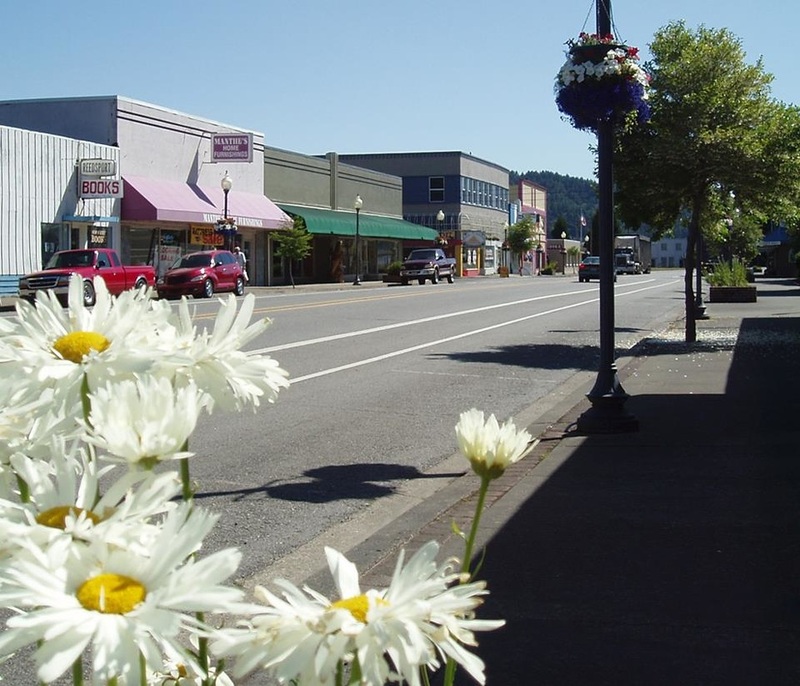 The Reedsport Main Street Program is committed to promoting Reedsport and enhancing the quality of life, experience, and image of the City of Reedsport. Drawing on the rich history and natural beauty of the area, Reedsport will build its reputation for being an inviting, warm, and livable community. Community activities will reflect a new sense of pride and optimism about the future. Restored historic buildings and fully occupied storefronts will entice visitors to stop and explore all the hidden jewels Reedsport has to offer including the Umpqua Discovery Center, accessible rivers, bird and wildlife watching, and recreational activities. New and existing destination businesses that appeal to visitors and serve as community gathering spots (e.g., a brewery) will bring energy and vitality to the district. Uptown, downtown, and midtown will be connected through beautiful landscaping, wayfinding signage, and streetscape improvements that add to the community’s character. Reedsport’s logging and fishing history will be reflected in events and activities that make full use of the improved Rainbow Plaza, as well as through an expanded chain saw art sculpture program. Explore our site, get involved, and help us work towards a stronger, better Reedsport!